When the value of a vehicle is difficult to assess, the vehicle may be insured on an stated amount basis. This article will explain what stated amount means, and how it differs from agreed value and actual cash value. The following example demonstrates a typical situation in which stated amount coverage might be used. You own Paramount Produce, a wholesale supplier of fruits and vegetables. You have just purchased a large truck that you intend to use for transporting produce. The truck is 25 years old but has a brand new engine. It also has new brakes, new tires and a new lifting device. You have put a considerable sum of money into the truck and you want to protect your investment. You contact your insurance agent and ask her to add the truck to your commercial auto policy. You tell your agent that you want to insure the truck for auto liability, comprehensive and collision coverages. Your agent phones you the next day with bad news. Your auto carrier is reluctant to insure the vehicle for physical damage. The insurer contends the value of the truck is too difficult to assess given the vehicle's age and the upgrades you have made. However, your insurer offers you a concession. It will insure the truck for physical damage on a stated amount basis. Stated amount coverage is typically provided when the value of the insured vehicle is difficult to establish. Trucks (particularly older models) are often covered in this manner. Antique autos are also covered on a stated amount basis under a commercial auto policy. A vehicle is covered on a stated amount basis by via an endorsement attached to your policy. You (the policyholder) determine the value of the vehicle. This value is then listed in the endorsement as the Limit of Insurance. Stated amount coverage is subject to a deductible, which is listed in the endorsement below the limit. The Stated Amount Endorsement amends the Limit of Insurance provisions in the commercial auto policy. In the absence of the endorsement, physical damage coverage is not subject to a limit. If a covered auto is damaged by a covered peril your insurer will pay the cost to repair or replace the damaged property, or the property's actual cash value, whichever is less. As mentioned above, the value you assign to your vehicle becomes the limit of insurance in the Stated Amount Endorsement. Yet, the amount you receive for a loss may be less than the stated amount. For example, suppose that you have calculated the value of your produce truck to be $50,000. You have insured the truck under comprehensive coverage with a $1,000 deductible. A tornado roars through town and destroys your truck. Your insurer declares the truck a total loss. Your insurer may decide that your calculations of the truck's value are accurate. It pays you $49,000 ($50,000 limit minus the $1,000 deductible). Alternatively, your insurer might decide that the value you assigned to your truck is too high. Your insurer determines that the actual cash value of your truck is $35,000. Since the actual cash value ($35,000) is less than the limit of insurance ($50,000), your insurer pays you only $34,000 ($35,000 less the $1,000 deductible). As a method for valuing property, stated amount differs substantially from agreed value. When property is valued on an agreed value basis, you and your insurer agree on the value of property when coverage begins. If the property is damaged or destroyed, the loss is adjusted based on the agreed value. When property valued on a stated amount basis is damaged, the loss is adjusted based on the stated amount only if that amount is less than the property's actual cash value or the cost or repair it. The Limit of Insurance listed in the Stated Amount Endorsement is primarily used for rating purposes. 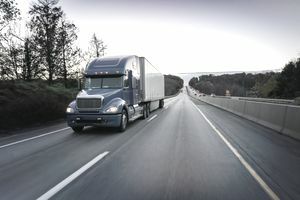 Ordinarily, premiums charged for physical damage coverages on a truck are based on the cost of the vehicle when it was new. Under the Stated Amount Endorsement, the premium is instead based on the stated amount (limit of insurance). The stated amount may be considerably less than the cost new. Thus, the endorsement may save you money on physical damage premiums. Insurers cite two advantages of stated amount coverage for the policyholder. One is the possible savings on physical damage premiums. A second benefit is that the endorsement enables you to insure vehicles you have customized based on their true worth. Of course, this is a benefit only if you have calculated the value of your vehicle accurately. Stated amount coverage provides a major benefit to the insurer. If the vehicle incurs a total loss the insurer is not obligated to pay the limit of insurance (your estimation of the vehicle's true worth). Rather, the insurer can pay its estimation of the vehicle's actual cash value. When Your Vehicle Has Been "Totaled"